Develop a regional brand and a marketing plan. Preparation of complementary instruments for territorial development and monitoring. 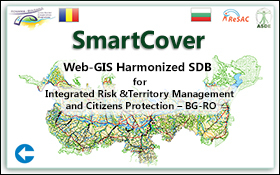 Develop a harmonized, common database for the Romania-Bulgaria cross-border area. Identify needs and potential in relevant areas of the cross-border area. Development and implementation of thematic / sectorial pilot projects.